Premium network EPIX(R), an MGM company, has set premiere dates for three of its fall originals, it was announced today at the Television Critics Association Summer Press Tour. 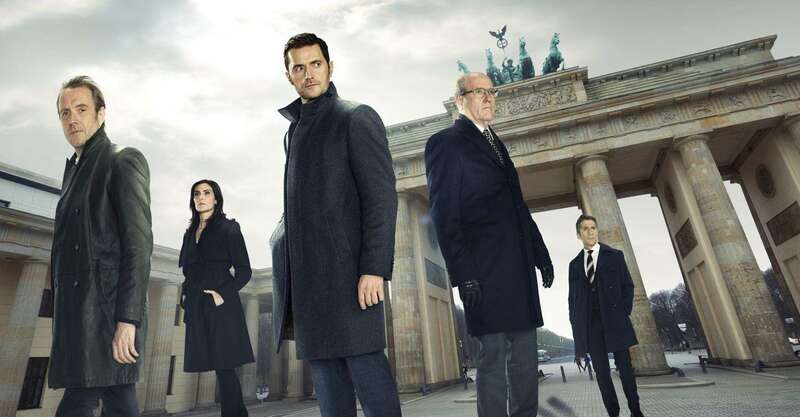 The second seasons of breakout original series “Berlin Station” and “Graves” will debut in October, with “Berlin Station” returning on Sunday, October 15 at 9:00 PM ET/PT, and “Graves” on Sunday, October 22 at 10:00 PM ET/PT, and the recently-announced original documentary film “Danica,” directed by Hannah Storm, will air on Wednesday, November 8 at 8:00 PM ET/PT. The series is created and executive produced by Olen Steinhauer (author: The Tourist, All The Old Knives, The Cairo Affair). Bradford Winters (“Dig,” “The Americans,” “Boss,” “Oz”) serves as executive producer and showrunner. Academy Award(R) winner Eric Roth (Forrest Gump, The Curious Case of Benjamin Button, “House of Cards”), along with Steve Golin, Kerry Kohansky-Roberts, Keith Redmon and Luke Rivett from Anonymous Content (“True Detective,” “The Knick,” “Mr. Robot”) also executive produce. The series is produced by Paramount Television and Anonymous Content. After a year of public protests against his Presidential legacy, Season 2 finds former President Richard Graves (three-time Academy Award(R) nominee and Golden Globe(R) nominee Nick Nolte) turning inward in search of the man he used to be before he was President. This journey is compounded by the arrival of his first grandchild, thanks to daughter Olivia (Heléne Yorke) and a new revelation about his son, Jeremy (Chris Lowell). Graves’s journey coincides with wife Margaret’s (Sela Ward) Senate campaign, as the former First Lady attempts to build her own political legacy at the exact moment that her husband is tearing his down; and his assistant, Isaiah Miller’s (Skylar Astin) search for new direction after taking a bullet for the President in the Season 1 finale. Meanwhile, Graves’s spiritual muse Samantha (Callie Hernandez) finds a new calling as a singer/songwriter. Produced by Lionsgate in association with Kingsgate Films, Josh Michael Stern (“Swing Vote,” “Jobs”) is the creator/showrunner, Academy Award(R) winner Greg Shapiro (“The Hurt Locker,” “Zero Dark Thirty”) and Rebecca Kirshner (“90210,” “Gilmore Girls”) are executive producers, Abby Gewanter (“Pushing Daisies”) is supervising producer, and Emmy(R) Award-winning Bill Hill (“Veep,” “Eastbound & Down”) and Jack Moore (“Dear White People,” “Crowded”) are producers.